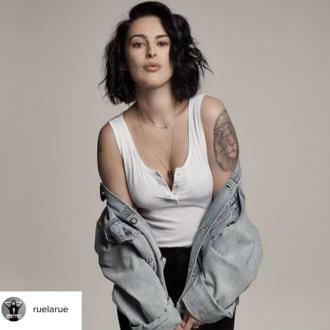 Rumer Willis reportedly burst out laughing when she heard her mother's toothless lisp. Rumer Willis couldn't stop laughing when she heard her mom Demi Moore's lisp from losing her two front teeth. The 28-year-old beauty reportedly burst out into tears of laughter when she phoned the 54-year-old actress after she ''sheared off'' her gnashers due to stress and found it even more hilarious when she spoke strangely during their call. The 'Ghost' star hinted she had ground her pearly whites down during an appearance on 'The Tonight Show Starring Jimmy Fallon' on Monday (12.06.17). Demi said that her grown-up children, Rumer, 23-year-old Tallulah and 25-year-old Scout - whom she has with ex-husband Bruce Willis - think their mom is more ''fun'' and ''vulnerable'' looking without her front teeth.